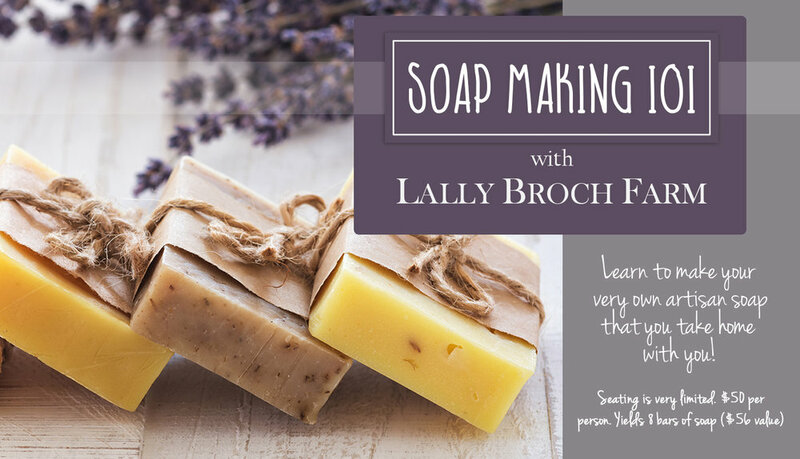 Lally Broch Farm will take you step by step through the process of making your very own artisan soap! Eight seats are available and will be set up with all of the ingredients and materials needed to yield 8 bars of soap. Choose your favorite scent and let Lally Broch ease you through this fun class. $50 per person yields 8 bars of soap. Click the image below to reserve your spot.